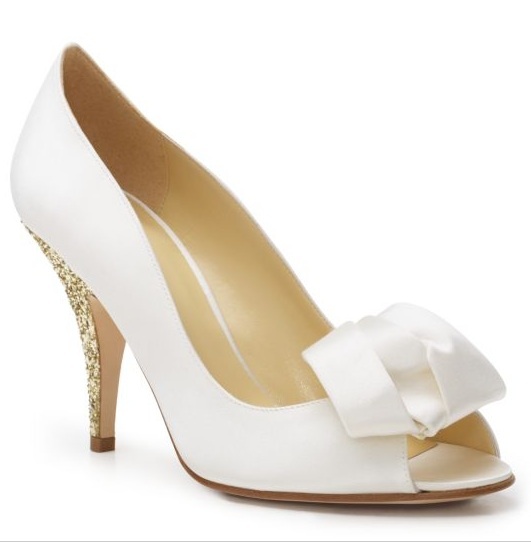 How fab are these Kate Spade shoes?! Can you imagine them for a wedding? 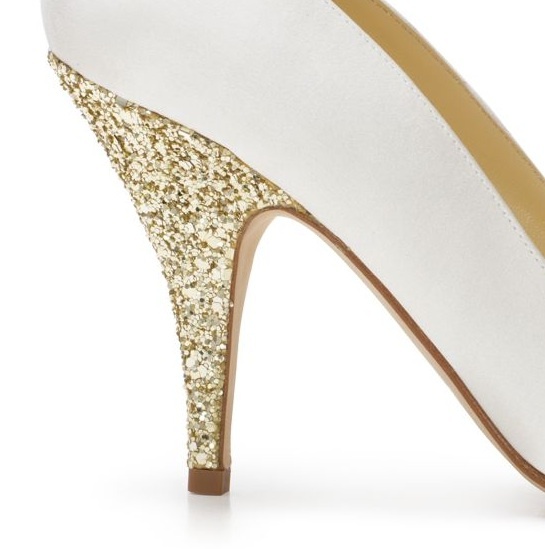 The gold heel is the perfect amount of bling to rock under a white gown. And the rosette on the front is sophisticated and classic without looking like a massive paper daisy or rose on the front. I wish they would make them with a shorter heel! Don't get me wrong, I absolutely adore wearing 4" heels when we go out. There's nothing that makes a girl feel fabulous quite like a dress and high heels, plus it increases your chances of getting kissed on the forehead! I just don't think it's wise to wear 4" heels on your wedding day when you'll be running around chatting with all of your guests, dancing up a storm, and sporting those heels for 8+hours! 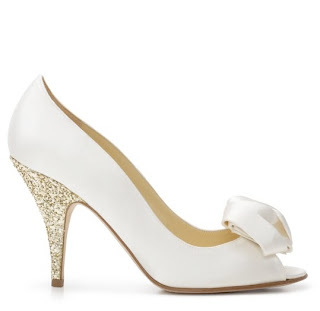 Although you can decrease the price, because by the time I actually purchase shoes I'm sure I'll be so far over my wedding budget, there won't be $300 left on the heels. I"m already over the whole wedding costs a million dollars thing. I'm ready to elope.